Nimble Storage combines an iSCSI array with industry leading software to provide an enterprise level storage platform. The fusion of solid state drives with traditional storage allows Nimble to prioritize and deduplicate data. As a result, it excels at streamlining virtual machines, facilitating large-scale storage, and super-charging robust applications. Our FUSE Storage Solutions are powered by commodity hardware instead of proprietary solutions. This allows you to build a hyper-scale storage infrastructure that scales linearly and increases performance with each server that is added. When proven open source software (like GlusterFS or Ceph) is combined with flexible and widely available hardware, it makes for a cost efficient and highly scalable storage solution. By supporting both FreeNAS and Openfiler network storage platforms, we offer a solution for your unique use case. Through our extensive experience with these well-known, open source storage platforms, we evaluate and recommend the solution that fits your performance and application requirements. OpenFiler and FreeNAS can be deployed on any of our dedicated servers, or can be provisioned in an on-premise environment. Over the past 8 years, Genesis Adaptive has helped over 30 schools establish and maintain a variety of IT Solutions. During this time, we have grown familiar with the needs of educational institutions and have crafted custom solutions designed for consistency and scale. 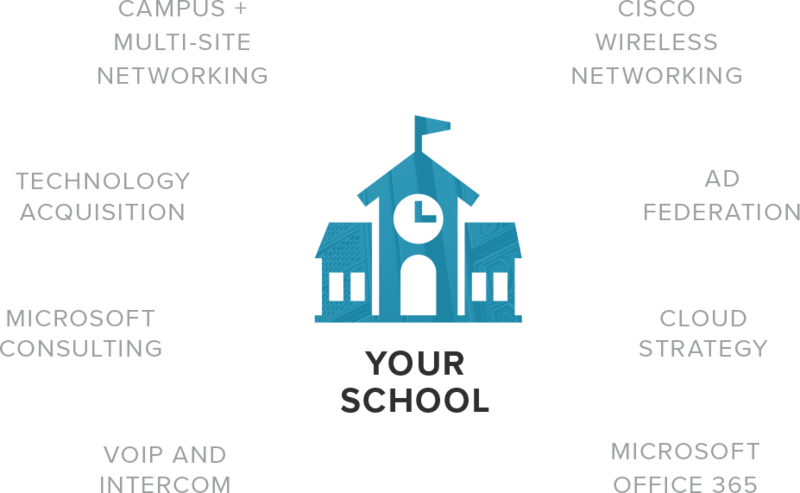 We aim to be a reliable long-term solution for your school / district’s IT consulting needs. By supporting the Palo Alto and pfSense platforms we can assist in the design, deployment, and management of both enterprise and open source solutions. Our team of trained engineers have extensive experience in Microsoft and Linux security. This includes vendor agnostic applications, databases, and authentication protocols. Integrating your business operations with the cloud shouldn’t lead to security headaches. Let our security team facilitate and manage your transition to the cloud.